Imagine coming home from work to your home and dive into your pool no matter how cold outdoors. The pool heating using heaters can extend the swimming season and enjoy the pool for a few months, if the pool does not have a structure that meets or why not, throughout the year if we are fortunate to have an indoor pool or having some kind of cover. A few years ago, when the construction of pools of home was just beginning to take off and sales still grew somewhat slower step, certain benefits, such as the heating of swimming pools, had a high cost and install was complicated and even fewer useful because often the equipment used for this purpose were inadequate. 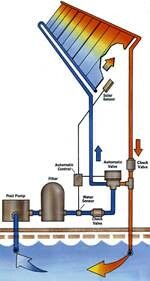 However, today’s water heating facilities provide us with an excellent technology for every budget and need. The installation of swimming pool heating systems are the mission of increasing the temperature of the water of our pool so we can enjoy a swim beyond the specified time in the bathroom. We swim in some hot days and even cooler if we have a pool cover in order not to suffer an abrupt change in temperature when exiting the water. by installing solar panels that collect energy from the sun and used to heat water, air-fired and electric heaters. The most effective and economical way to heat water in your pool, either to prolong season or heated all year. So easy to install and less maintenance. What makes this device is to keep the pool water at a suitable temperature, regardless of ambient temperature. 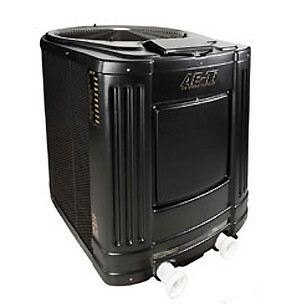 A major advantage offered by heat pumps is its easy installation and maintenance, which is very simple and usually does not cause any complications in particular. In addition, its use is usually quite low, so it will not generate large expenses. 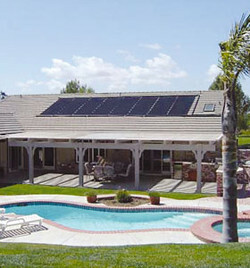 In general, these heat pumps should be placed outdoors, where it is an indoor pool, and on a stable surface. Solar powered air conditioning is the most economical and environmentally friendly solution to heating the water in your pool . There are several models on the market of collectors or solar panels, such as: solar Ipesol, flat panels or solar collectors and evacuated tube collectors. The most used locations for installation of these collectors or solar panels often the roofs of houses, the garden (near the pool), or any other place flat on the ground that will not slow too.